LONDON (AP) There won’t be much down-time for England’s forwards in the first rest week of the Six Nations. England coach Eddie Jones has arranged two days of scrummaging sessions with Georgia in London this week and promised they’ll have the same intensity as a test match. Georgia has one of the most feared scrums in international rugby, with many of its forwards playing in France’s Top 14 league. ”We want to have the best scrum in the world,” Jones said, ”and they’re the biggest, ugliest, strongest scrum pack in the world. Jones had floated the idea of England travelling to Tbilisi to train against the Georgians, before it was decided they would visit London. England’s Rugby Football Union will pick up the cost of accommodation. The English have started the Six Nations with victories over Italy and Wales, and their scrum has held up well. Still, Jones is one of the most thorough coaches in world rugby and is always thinking outside the box. 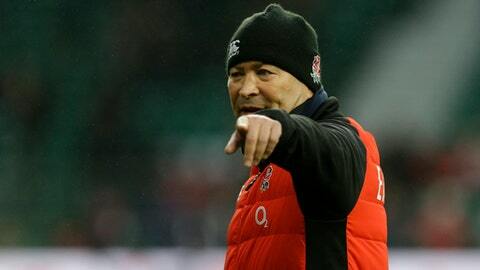 Before the autumn international series, Jones set up a training session with Wales – England’s fierce rugby rival – in Bristol and felt it benefited his players. Now, he is using his contacts with Georgia coaches Milton Haig and Richard Graham, who are from New Zealand and Australia respectively. ”You think that by mixing it up and training against someone different,” England captain Dylan Hartley said, ”we will find something out about ourselves and we will learn.